ArthroCare Corp. (NASDAQ: ARTC), a leader in developing state-of-the-art, minimally invasive surgical products, announced its financial results for the quarter ended March 31, 2014. ArthroCare Corp. (NASDAQ: ARTC), a leader in developing state-of-the-art, minimally invasive surgical products, announced its financial results for the quarter ended and year ended December 31, 2013. ARTHROCARE SHAREHOLDERS NOTICE: Kendall Law Group Investigates Potentially Unfair Acquisition Of ArthroCare Corp. By Smith & Nephew Plc. Kendall Law Group, led by former federal judge Joe Kendall, is investigating the Board of Directors of ArthroCare Corp.
Keep these health care stocks you your radar. Cramer says Chevron's quarter was a disaster and warns investors to be cautious with Norfolk Southern. The U.K.'s Smith & Nephew hopes to get a leg up in the fast-growing sports medicine sector through the $1.5 billion acquisition of Nasdaq-listed ArthroCare, which counts One Equity Partners LLC as its largest shareholder. 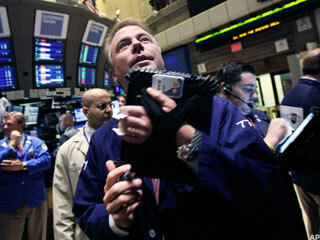 U.S. stock futures point modestly higher; Jos. A. Bank reportedly in talks to buy Eddie Bauer; Janet Yellen to be sworn in as Federal Reserve chief; Yum Brands to report earnings; GM and Ford to report January sales. European and Asian markets continue last week's losses again on Monday. ArthroCare Corp. (NASDAQ: ARTC), a leader in developing state-of-the-art, minimally invasive surgical products, and the U.
ArthroCare Corp. (NASDAQ: ARTC), a leader in developing state-of-the-art, minimally invasive surgical products, announced today participation in an upcoming investor conference, as detailed below. ArthroCare Corp. (NASDAQ: ARTC), a leader in developing state-of-the-art, minimally invasive surgical products, announced its financial results for the quarter ended September 30, 2013. ArthroCare Corp. (NASDAQ: ARTC), a leader in developing state-of-the-art, minimally invasive surgical products, plans to announce its third quarter 2013 results on Tuesday, October 29, 2013. In trading on Thursday, shares of ArthroCare Corp. crossed below their 200 day moving average of $34.97, changing hands as low as $34.55 per share.